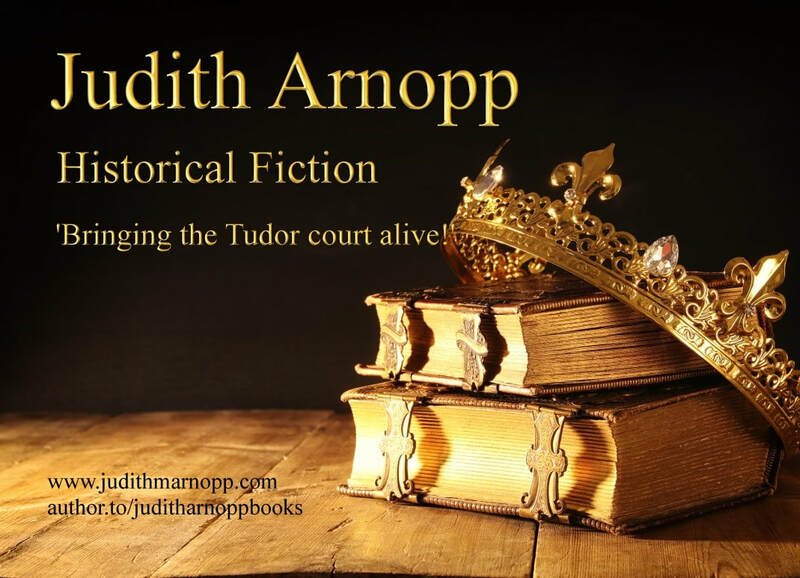 Historical Fiction Author Judith Arnopp. ​You’d have to ask my classmates – lol. I was attentive in the lessons that interested me, and a bit naughty in the classes I found dull. Yes, it was my best subject (along with history) and I went on to study both at university. I’d like to be a world bestselling, multi-award winning author by the end of the year – lol. Perhaps more realistically, I’d like to reach as many readers as I can and sell so many books that I am no longer distracted by worries about sales, or paying bills. It is hard to reach new readers and I spend so much time on social media marketing my work when I should be concentrating on the real job which is, or should be, writing. I am a quiet, private person so standing on a pedestal yelling ‘Buy my book! Buy my book!’ is really not my thing. I tend to market very quietly in a corner and hope someone will hear and give one of my books a go. Experience has shown that if someone reads one they invariably want to read all the rest. My main influence has been the classics, and people like Daphne Du Maurier and Iris Murdoch but lately it has been Hilary Mantel. I wish she would hurry up and finish the sequel to Bring up the Bodies. I love the way she plunges into her protagonist’s head and takes you to another place and time. Her intelligence is awesome. I can only aspire to it. I’ve written ten books now, all set in the medieval or Tudor period. 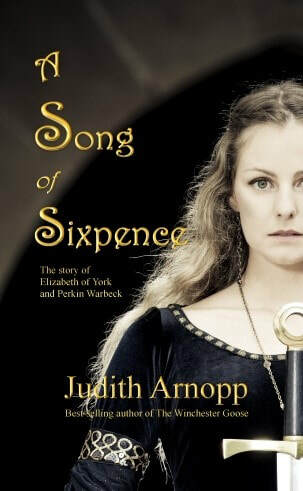 In between marketing, blogging and interviews, I am working on my eleventh novel, Sisters of Arden, which takes place in 16th century Yorkshire during the Dissolution of the Monasteries. The protagonists are two novice nuns who are still young enough to think they can change the world and influence the thinking of the king. All my books are historical fiction. When I began writing professionally it made sense to combine the two skills I’d learned at university: creative writing and historical research. I don’t think I could write in any other genre, I feel more at home in the past than in the modern world. ​How much research do you do to add depth to your works? I do a great deal of research. My books aren’t stuffed with historical detail, they are not meant to be manuals to the past but I need to move my characters through an authentic world. It helps that I write in a similar time period so much of the research overlaps but each book requires fresh study. I read biographies, historiography, architecture, fashion and textile, politics. (arghh!!) I study paintings, visit castles and historical towns, read contemporary accounts. It is never ending. Luckily my husband is very obliging and accompanies me on research trips and is a sounding board for ideas and the complexities of the characters I am working on. 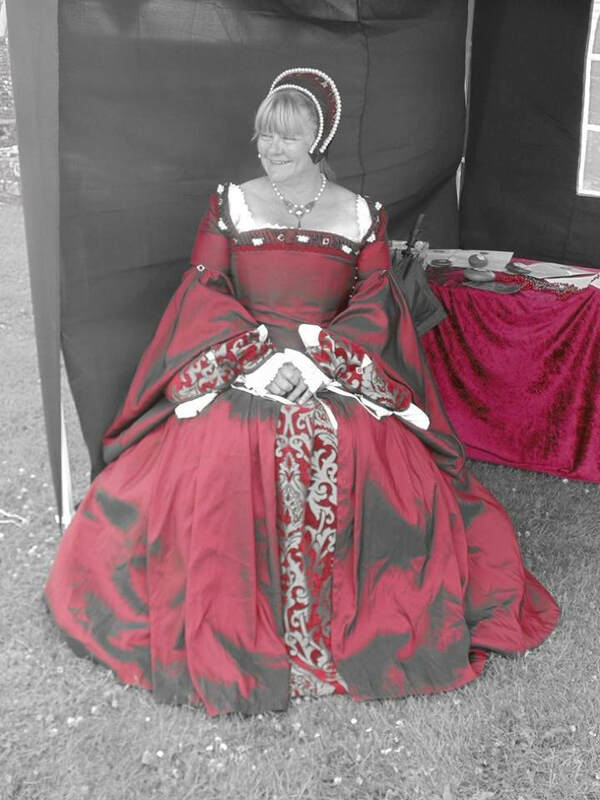 I even go so far as to dress in Tudor clothes on occasion. The English Historical Fiction Authors have published two anthologies Castles, Customs and Kings Vol 1 & 2 in which some of my articles are included. They are huge books and make a lovely addition to any coffee table. I have been so busy lately with the Sexuality and its Impact on History article that I’ve found little time for other things but I intend to get back to it as soon as I can. I find it thrilling to be part of a bigger project with other great authors and I enjoy the differing opinions and perspectives we all have on the past. I don’t think it was ever a conscious decision. I’ve written for as long as I can remember. As a child I wrote stories to read to my dolls and teddies, later I wrote for my children. When I graduated from university it made sense to utilise to my greatest, and possibly my only talent, and write professionally. I didn’t expect my books to sell. When I published Peaceweaver in 2009, it just sat there doing nothing while I wrote a second and a third book. 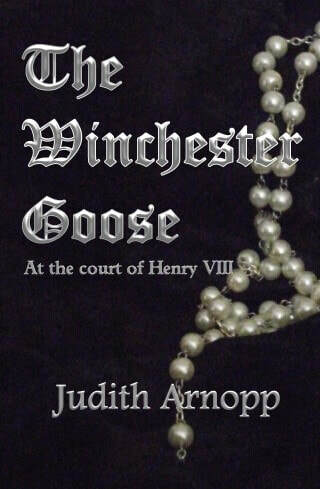 It wasn’t until I published my first Tudor book, The Winchester Goose that they began to sell. That book was Amazon bestseller for quite a while and still sells really well. Since then, I’ve written exclusively in the Tudor era, my latest books being set in and around The Wars of the Roses and I have a steadily growing following. I write full time although, as my former answers reveal, being an author isn’t just about writing. It is not the glamourous job I once imagined. I rarely sit at my desk in a gorgeous outfit, sipping champagne while fabulous words trickle from my brain onto the page. More usually, I am in pyjamas, fending off phone calls and battling through my ‘must get this done’ list so I can actually open my wip and get on with the real job. The plan is that I write all day, from 9am – 4pm, stopping for an hour at lunch time but it rarely happens. I do write every day but it is not always on my novel. Like today, I am answering your questions, then I have a blog post and an inbox full of reader emails to reply to. I also have to chase up the printers, listen and approve some audio recordings of The Beaufort Woman, and respond to a facebook Book Challenge by listing seven books that have influenced me during my life. I am quite tempted to list my own- ha ha! And by the way, today is Saturday! In the summer I try to work around the weather. I need some sunshine or I will go mad but I live in Wales so I’ve learnt to enjoy the sun while it is here. If it is sunny in the morning, I postpone writing until the afternoon, or vice versa. If the sun comes out after a rainy morning, I abandon my desk and go into the garden, or walk on the beach (did I mention I live on the coast?) If work is really pressing, I simply take my research books with me. Writing historical fiction provides a skeleton of time and events that I am obliged to stick to. Likewise, the characters are pretty much formed but I like to provide a different perspective. I write in the first person, looking at the historical characters from the inside out. 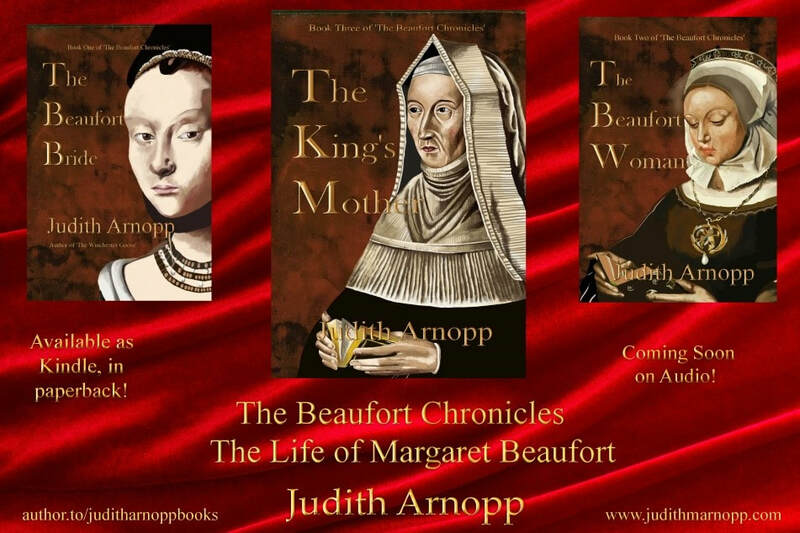 Margaret Beaufort and Anne Boleyn are both often portrayed in a negative light and some of their actions can appear questionable. By writing from their point of view, I can offer reasons for those actions, combining all their life experiences to form a fresh picture. Secondary characters and the way they interact with the protagonist often take matters into their own hands. Margaret’s relationships with her husbands are not widely documented so I was free to illustrate them as I wished. As part of my ten year anniversary of becoming a published author, I’ve recently been revising and re-editing my early books. I discovered that I have certainly developed. My work is tighter now, my sentence and plot structure has definitely improved. My story telling and character building has remained much the same so Peaceweaver, The Song of Heledd and The Forest Dwellers have certainly benefited from a wash and brush up and a nice new cover. I try to publish one a year and usually manage it. Luckily, since I write mostly in the same era, the research overlaps and I can just refresh my knowledge as I go along. From conception to publication is probably more like eighteen months but once I sit down and write, it takes about a year. Writing requires a lot of thinking time and I can do that while I am gardening, lying in the bath, or during those twilight moments between waking and sleeping. Reading outside the historical fiction genre has introduced me to some great authors. The best book I’ve read recently is The Mermaid’s Daughter by Ann Claycomb which seems to be her debut novel. It is a reworking of The Little Mermaid set in the modern day world of opera. It is fresh, gripping and uplifting and totally surprising. I was dismayed to discover it is Ann Claycomb’s only book and am impatiently waiting for her to write something else! Kindle has been a god-send for me. I have so many books and I love them for their bookiness; for the smell and feel of them as well as their content. But I am running out of shelf space. I need tree books for research purposes, I don’t find e-books good for that at all but when it comes to fiction I tend to buy the e-book and if I like it enough, I buy a hard copy for my shelf. I don’t think e-books will ever replace paper books, there is a place in the world for both. My books go through many rounds of proof reading and editing. When I reach the end of the first draft, I put it aside for a while, so something totally unrelated to writing or history. Then I go through it again making changes and edits until I am reasonably happy. Then my husband reads it and highlights typo’s and continuity problems, which I correct. Then it goes out to my small trusty team of beta readers who do a similar job of highlighting areas that need improvement. Finally, it goes to my editor, Cas Peace, for a proper job. After the edits are complete, my husband and I read it again. Usually at this stage we find very little that needs changing and off it goes to the printers. I learned very early on in my career that typing ‘The End’ when you complete the first draft is actually only the beginning. In what formats are your books available? All my books are available in paperback and kindle. The Beaufort Bride is available as an audio book. 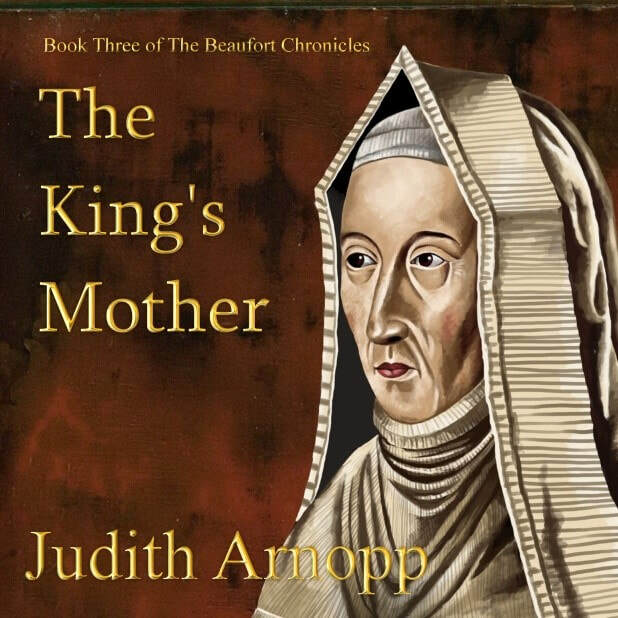 The Beaufort Woman, The King’s Mother and The Kiss of the Concubine will follow on Audible very shortly. I am planning to have them all recorded but it is a lengthy process. I prefer a simple cover and am lucky to have a friend who is a recently retired graphic designer, happy to give me what I want. We work closely to come up with something suitable and she is attempting to teach me her skills to enable me to at least produce my own posters and marketing material. Another friend, author Kate Murray is an artist; she was good enough to do the cover art on The Beaufort Chronicles with brilliant results. I do think covers are very important but I know so many debut authors who spend a vast part of their limited budget on a fancy cover and not enough on a good editor. I think as long as a cover isn’t off putting or blatantly amateur it is ill-advised to over-spend on it. There are lots of people who will help you without charging a fortune. My advice is to wait until you are properly established to spend big bucks on a fancy cover. Keep things as simple as you can, don’t spend too much of your budget, there is no point is a super-dooper cover with sloppy editing. I am independently published. I began my career rather late in life and didn’t think there was adequate time left to pursue uninterested traditional publishers. They can take years and now, I am glad I didn’t take the traditional route. I sell quite well, could be better but my career is in my own hands. I make the final decisions, choose my own titles and covers, and pocket most of the proceeds. I don’t think either is better. I think it is a matter of choice. There are some very bad indie books but there are also some very bad traditionally published books. I have seen horrendous typos and grammatical errors in traditional books, as well as weak story lines, flabby middles and disappointing endings. Many readers stick to traditionally published books in the mistaken belief they will be getting a quality read but I think they are sadly misguided. Read an indie book, but avoid freebies, and before you purchase, read the sample and make sure it is for you. Free samples cost a reader nothing but their time. Every author has a few bad reviews, and authors being what they are, we tend to fixate on those rather than the positive. You can’t please everybody, some readers will love your book, others will hate it – it doesn’t matter, as long as they buy it. Most prospective readers can see through a bad or troll review and will read an excerpt and make up their own minds. As authors, we should take constructive criticism and use it to our advantage but, in the case of silly negative nonsense like ‘I hated this crappy book,’ just forget it and move on. If you respond you are giving the troll what they wanted – power. I am very prominent on social media but I am not sure how successful it is for marketing purposes. I suppose it puts your face in the public eye and it would be lovely if they all dashed out to buy our books but I don’t think they do. I don’t get involved in online discussions, avoid squabbles like the plague but I do see all the nonsense, raise my eyebrows and get on with my work. Social media presence is vital to keep me in the loop, up to date with writerly matters. It is great for meeting other authors and enabling invaluable mutual support. I’ve heard writers say they need readers as friends but authors are people too, they also like to read and buy books. I visit facebook every day and also tweet often, it is difficult to say if my efforts result in sales. I prefer facebook, it is rather like a favored coffee shop where you know your mates will stand you a cup of coffee. Twitter is fast and quite bewildering. I am still not entirely sure what I am doing on there, although I tweet daily. I haven’t tried the other social networking sites because it is all too time consuming and I need to spend time writing. If I had one wish it would be for someone else to network for me so I could have adequate time to write my next book! In the early days I did giveaways in the hopes they would be enjoyed and the reader would buy my others. I have since found the people who download free books are not likely to purchase more; most of them will wait for the next giveaway. I see no reason why authors should work for free, we get little enough for our efforts. I am not usually a complainer and never moan about lack of earnings on social media as I think it can be career damaging but I do see their point. Authors put their heart and soul into their work – we rarely take time off. Even at social events that are totally unrelated to work, we are people watching, noting characteristics, mannerisms and squirreling them away for future reference. Apart from acting, I don’t know any other career that requires that kind of input. If we were paid hourly we’d all be rolling in money! Ha, ha! Unless you mean collapsing into an exhausted heap at the end of the day, I don’t have time to relax properly. I like to garden. We recently downsized from a small farm with a huge garden to a semi at the seaside with a much smaller plot. I miss the freedom of my lovely acres but the land was hard to maintain and the lawns and flowerbeds were vast. 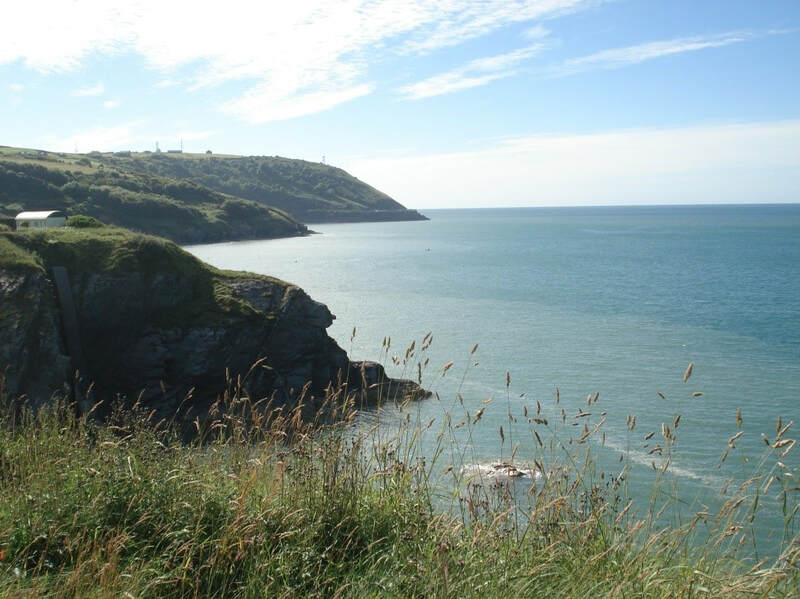 I imagined that living here I would be able to spend hours on the beach but that hasn’t quite happened, although I do walk there and on the cliff path whenever I can. In the summer I tend my plot, walk and think, and in the winter when I am not working, I crochet and read and think. We also have a large family, seven grown up children between us, and the time we enjoy with them and our grandsons is precious, if exhausting. It has to be Shakespeare, there has been no-one since with the ability to put words together the way he did. This quote is from Friar Lawrence, preaching to Romeo about love and constancy. You can google me or look for me on the following places. I will be glad to add you to my list of friends. 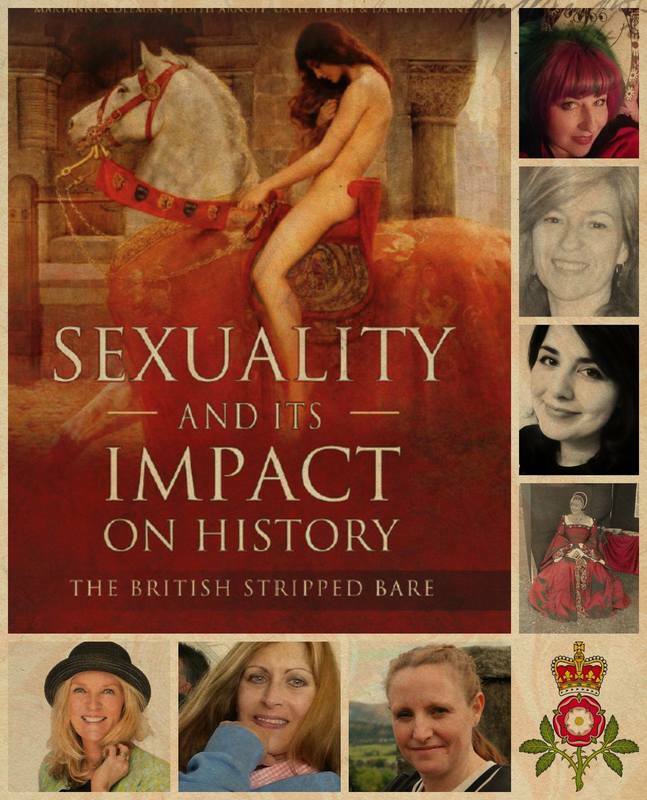 Thank you so much for taking the time out of your day to visit with us Judith and congratulations on your new book, Sexuality and It's Impact on History: The British Stripped Bare.